Spring Formal has arrived! 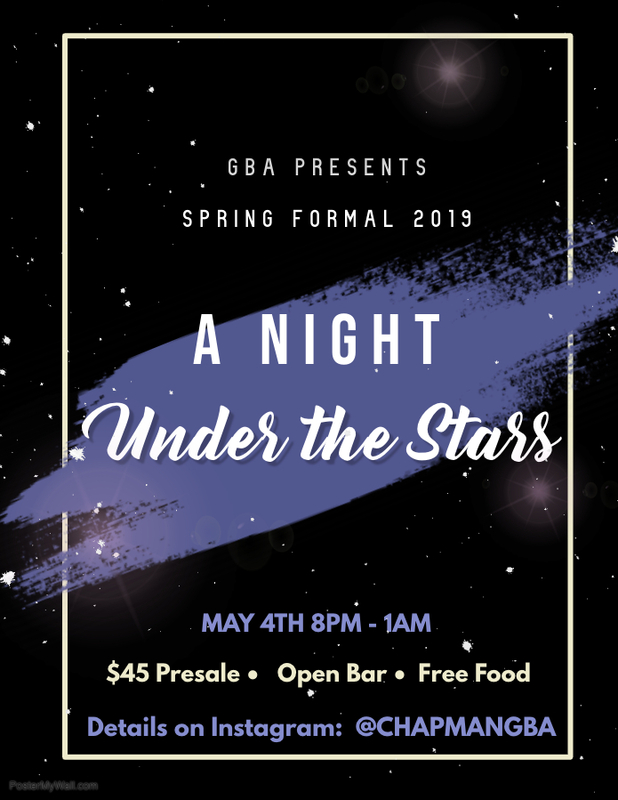 GBA invites you to enjoy A Night Under the Stars! We will be celebrating at The Fifth rooftop with dinner, hors d'oeuvres, music, and an OPEN BAR! We highly recommend using a ridesharing service. Don't forget to bring a valid ID as they will be checked at the door.